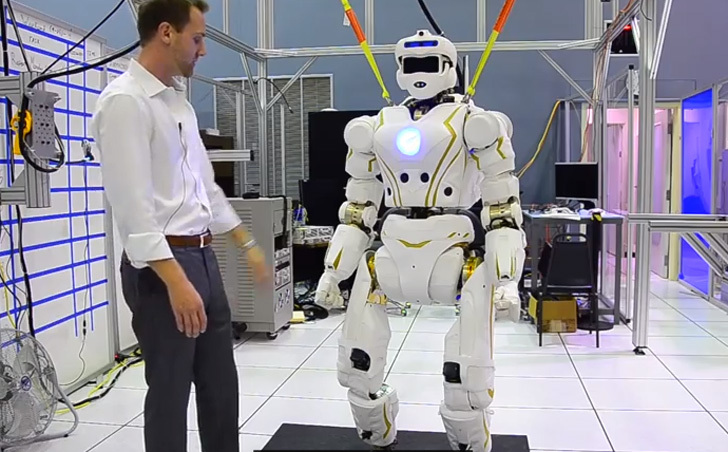 NASA’s new Valkyrie robot looks like a space-age superhero! 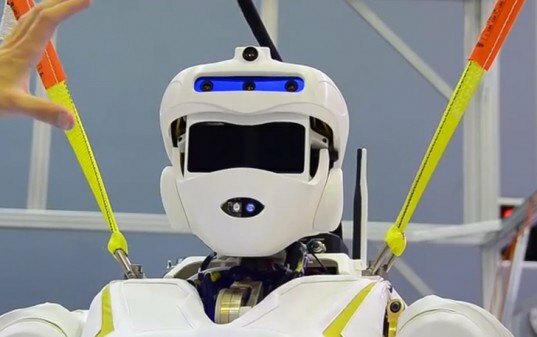 Created for the DARPA Robotics Challenge by the Johnson Space Center, the six-foot-tall robot is packed with cameras, sensors and sonar to help it maneuver with grace. The flexible Valkyrie can also be repaired on the spot with modular pieces, making it adaptable for different working conditions. Compared to hulky metal robots, Valkyrie looks like it was lifted right out of a Hollywood blockbuster. NASA’s new invention is smooth and lined with foam armor and fabrics, giving it a somewhat “friendly” appearance. The six-foot, 275-pound robot was given these soft parts to make it more human-like and more relatable than a boxy metal robot. Valkyrie’s cameras and sensors it the ability to move around without bumping into anything, which also safeguards it against damage. The robot’s modular arms and legs are easy to replace, making repairs and damage control easy. Each of Valkyrie’s hands has three movable fingers, giving it human-like dexterity. The robot was also designed to be user-friendly, and easy to operate with only limited robotics knowledge. The only downside is the battery pack, which only lasts for about an hour of use. The robo superhero will face off against other robots at the DARPA Robotics Challenge, where it will compete in tasks like walking over rough terrain, climbing, driving and using tools.